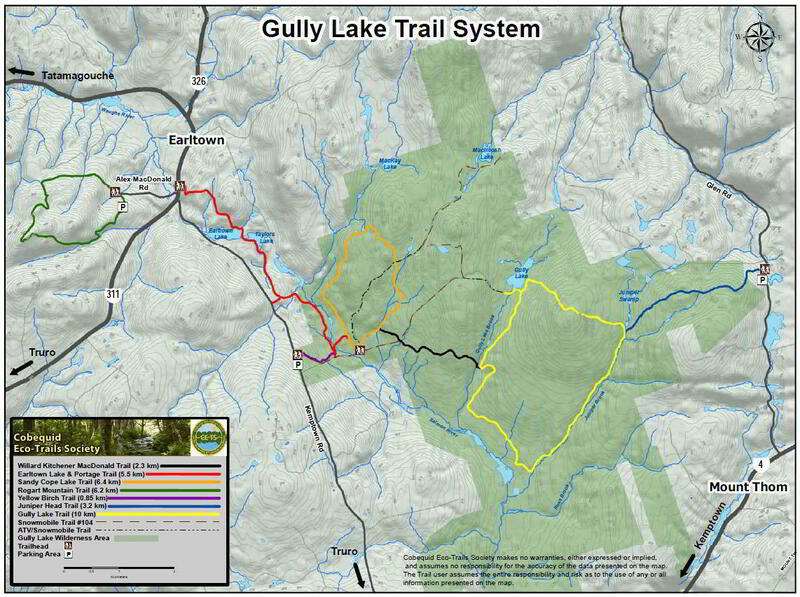 Information Hikers are advised to read and consider the Cobequid Eco-Trail Society's Trail Users' Checklist before heading into the Gully-Lake Nuttby Hiking Trail System. This is a linear 6.1 km "moderate" hike on a soil/footpath surface. Hikers are to follow the path and trail markers. 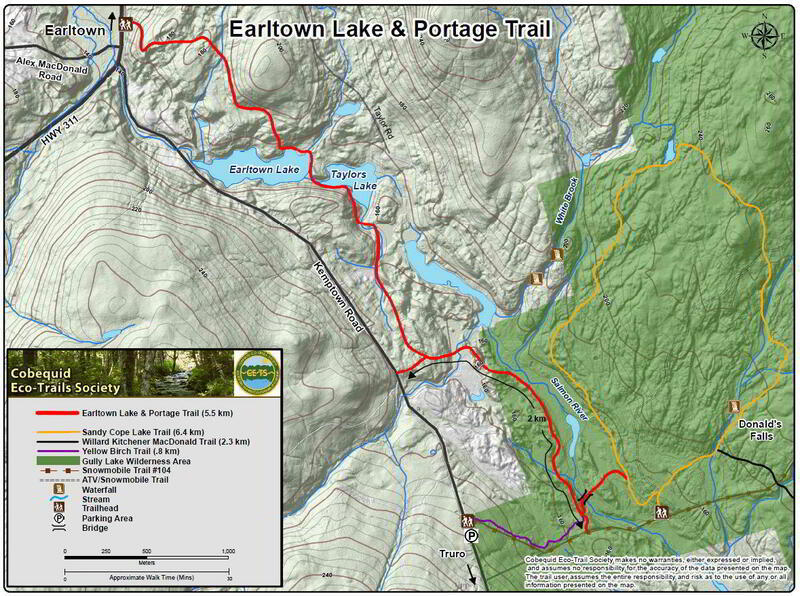 Permitted uses for the trail are hiking, snowshoeing, and backcountry skiing. 1) 5300 Highway 311 (near Alex MacDonald Road). Park on Alex MacDonald Road or Kemptown Road. 2) Kemptown Road via Yellow Birch Trail at 1734 Kemptown Road.